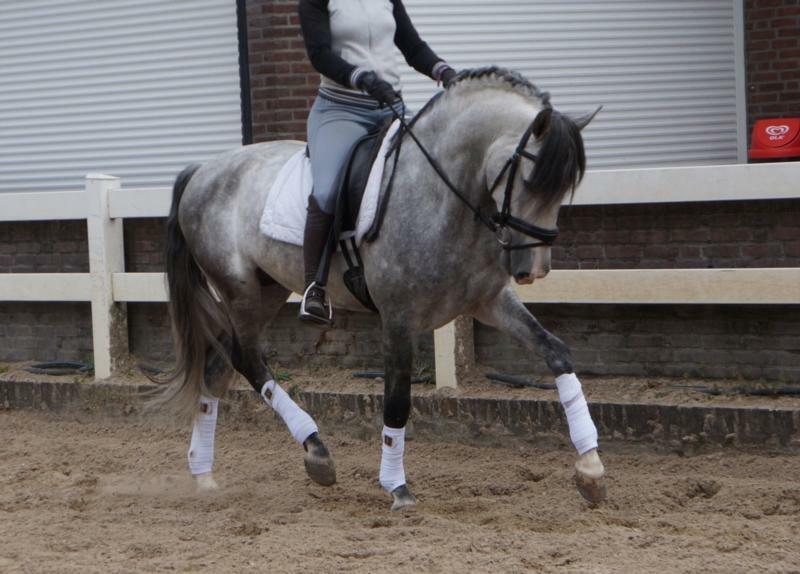 Additional information 8yo PRE Gelding MG NEPAL is a perfect example of PRE breeding at its best.This beautiful and flashy mover is showing us great potential to compete and clear up in the dressage arena. This sweet natured gelding was backed in September and has proved his honesty and willingness in every aspect of training.Would be suitable for a novice rider wanting to start their competing career and move up through the grades together, or equally an established rider looking for their next up and coming horse. MG NEPAL hacks out alone and in company. He has also just competed at his first show where he went out, behaved impeccably and placed 3rd in a strong class.